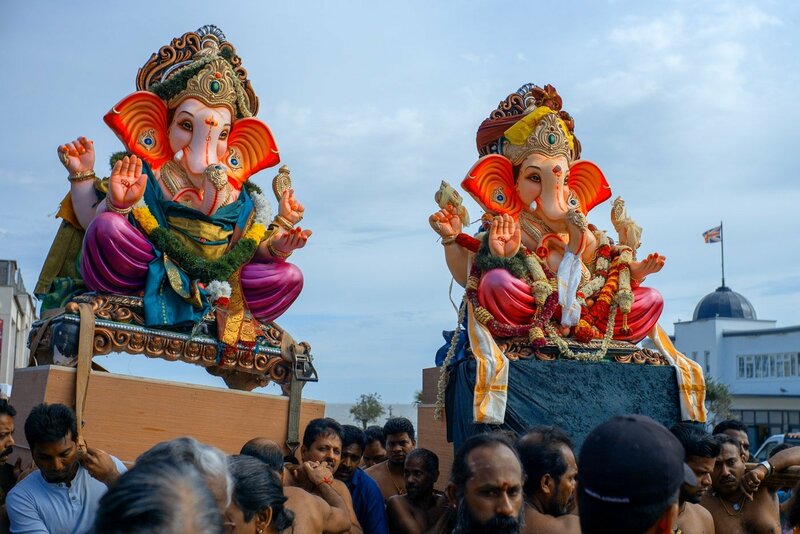 Ganesha Chaturthi, the great Ganesha festival, also known as 'Vinayak Chaturthi' or 'Vinayaka Chavithi' is celebrated by Hindus around the world as the birthday of Lord Ganesha. It is observed during the Hindu month of Bhadra (mid-August to mid-September). 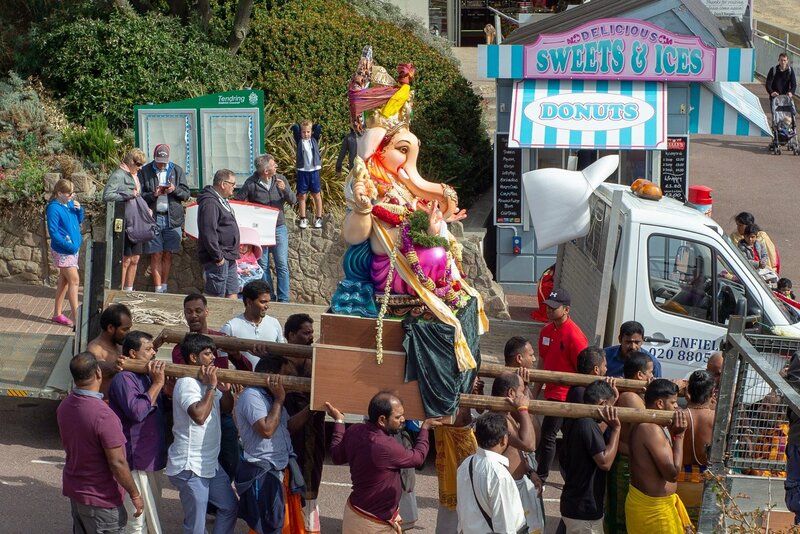 Life-like models of Lord Ganesha are taken through the streets in a procession accompanied by dancing, singing, to be immersed in the sea. 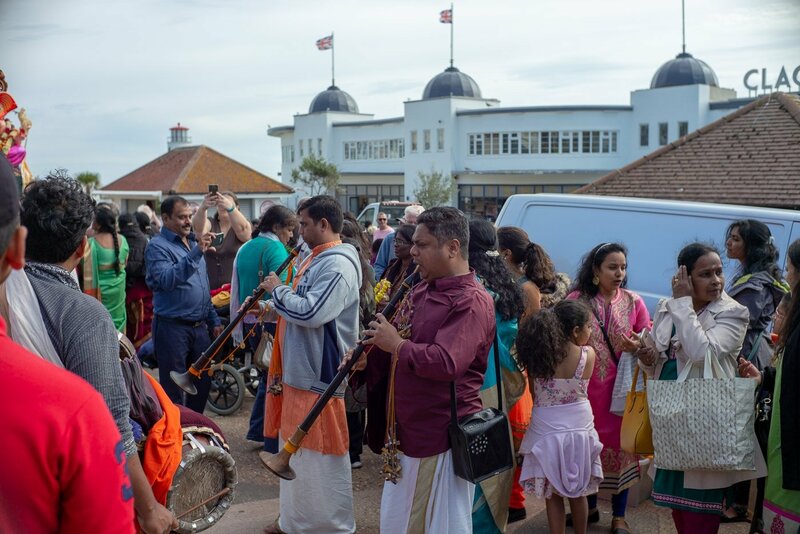 This symbolizes a ritual see-off of the Lord in his journey towards his abode in Kailash while taking away with him the misfortunes of all man. 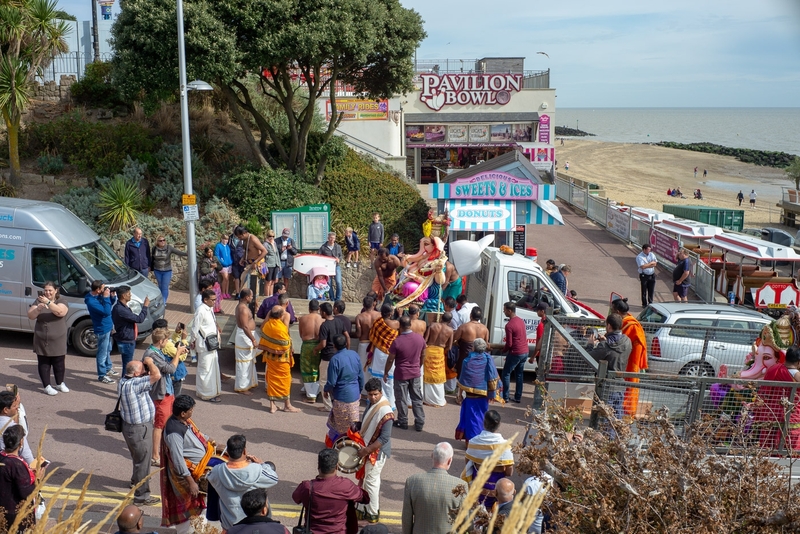 With the blessing of our local authority the Hindu Beach Festival is now held annually and provides a very colourful spectacle that all are welcome to join and photograph. It’s a great day and a privilege to share in the celebrations of such friendly and welcoming people. Long may it continue. A wonderful glimpse of a culture and religion of which I know very little.